When getting a loan, it’s wise to avoid the common mistakes people make. Otherwise, if you don’t avoid the common mistakes one can easily make, you are going to cost yourself time and money. So, for this reason, you need to study and figure out what you need from the experience. Furthermore, it’s wise to consider these nine mistakes people make when getting a personal loan. First and foremost, when looking to borrow money, you should shop around like crazy. Yes, don’t go to two or three places. Instead, head online, go to local banks and anywhere else where you can get a loan. When doing so and asking questions, you can get the best deal on your terms. Don’t forget to check your credit score when you are looking to get al loan. If you don’t, you are going to pay more, and you won’t be prepared for the process. Simply put, if you have a decent score, you have nothing to worry about. On the other hand, if you have a low score, you should fix it and apply later. Also you can turn to online lending companies which accept and approve loan applications from consumers with low credit. 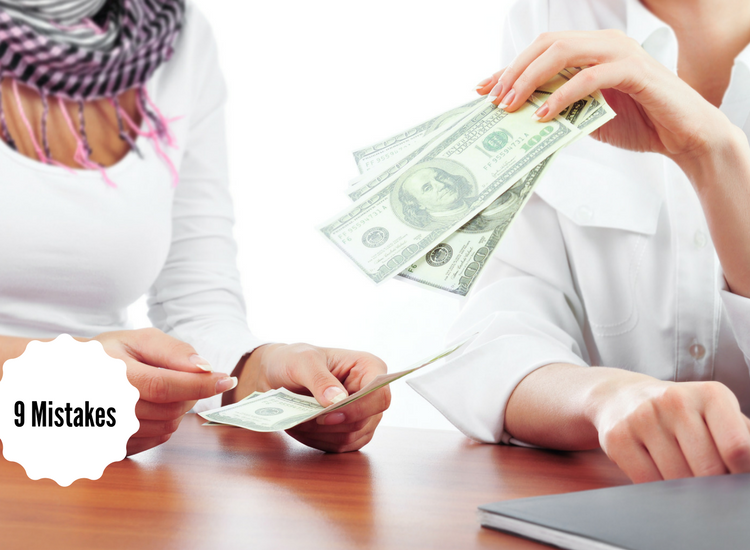 Without a doubt, if you want to get online personal loan, you should go more than on price. Sadly, a lot of people don’t do this, and they miss out on a company that provides good customer services. Often, when trying to find a loan, a person will forget about extra fees and closing costs. This is a mistake as you can easily pay more for a loan when you factor in extra costs. Remember, read the fine print, and you can get the best deal. Let’s face it, if you are borrowing money to help a friend or buy a huge house, you may want to rethink your strategy. Yes, while a personal loan is a good idea, it’s not always the case. Simply put, when borrowing money, you should think wisely and remember to get a loan that works for you and your life. Unfortunately, if you lie about your income or credit score, they will catch you. When this happens, you could get in trouble. Of course, this is unlikely. But, if you lie on the application, you can lose your loan and end up with a hefty fee. Now, if you have a decent income, you probably think you can easily pay back a loan. But, while it is true for some people, it may not be true in your case. Think about your monthly expenses, and you may discover that you will struggle to pay back even a small loan. If you are borrowing a lot of money to fund a purchase, you should read the paperwork. If you don’t, you are going to end up in a world of hurt down the road. Luckily, if you take the 5 or 10 minutes to read it, you can avoid common problems others face. Finally, if you are going to borrow a lot of cash, you should ask questions. Sit down, talk to the lender and let them know your thoughts and concerns. By speaking up, you will get the best loan for your unique wants and needs. With these nine things to avoid, you will have an easier time getting a personal loan that fits your lifestyle. Remember, this is a big decision, even if you apply for a small loan from Personal Money Service proving extremely easy and hassle free services, so you should not take it lightly or hurry up the process.